As always placement seems to be flying in, its hard to believe I'm about to start week 3 of a 6 week placement tomorrow. I'm finding it hard to find the time to blog on this placement as I have so much to learn and read, that finding a spare moment in the evening to blog is harder than on previous placements. I spend my first week trying to get to grips with the setting and service users; thankful for the helpful team who have been willing to answer all my questions and explain why they do the things they way they do. I think it's often a worry for students that we will be a bit of a pain when we start a new placement so it was nice to chat with one of the student metal health nurses who had been there for a few weeks and could reassure me that they other staff members wouldn't mind. 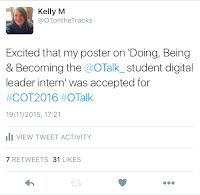 My educator was on annual leave my first week so I had a little longer to get to know the setting and service users before looking directly at the OT role in the mental health rehab. I've had a chance to observe and start to undertake some assessments with my educator in week two which has been a great opportunity for me. If you have been reading my blog for a while you will know on my previous placements I have had limited opportunities to utilise standardised assessments in the assessment stage so I'm really looking forward to utilising MOHOs assessment tools whilst on this one. So far I have had a chance to observe my educator using an OCAIRS (the occupational circumstances assessment interview and rating scale) and work with my educator on a MOHOST. I have also had a chance to see how observational assessment and functional assessments work within this setting. I was slightly worried before this placement about how different interventions would look in a mental health setting, having all my previous experience in physical settings but I can see from the first to weeks that the functional feel of interventions isn't that different in the grand scheme of things. Ive had the chance to see a range of interventions over my first few weeks and can see how different situations allow for different aspects of the OT goals to be met such as shopping with a client can allow the OT to assess a service users money management skills, their ability to process and make choices as well as giving the OT the opportunities to grade the activity. I have also had a chance to look at road safety and how grading the use of public transport for a service user can allow them to work towards using it independently. This placement has also involved me researching and preparing to lead some art sessions for the service users in the setting, which is still a work in progress for this week with the hope of leading them at the start of next week. 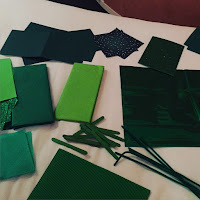 I will blog more about that in the next few weeks but I've been looking through the Recovery through activity by Sue Parkinson (2014) to help focus the creative sessions. One of the key things I have been observing over the first few weeks is the importance of Occupational Therapists as part of the MDT within the setting, Their expertise is valued as an important part of the goal setting and progress of the service users within the setting. This is strengthen by the rehabilitative approach taking by all team members on the unit and aids decision making and positive risk taking to allow the service users to progress whilst on the unit and engage in the community to access activities and build skills. 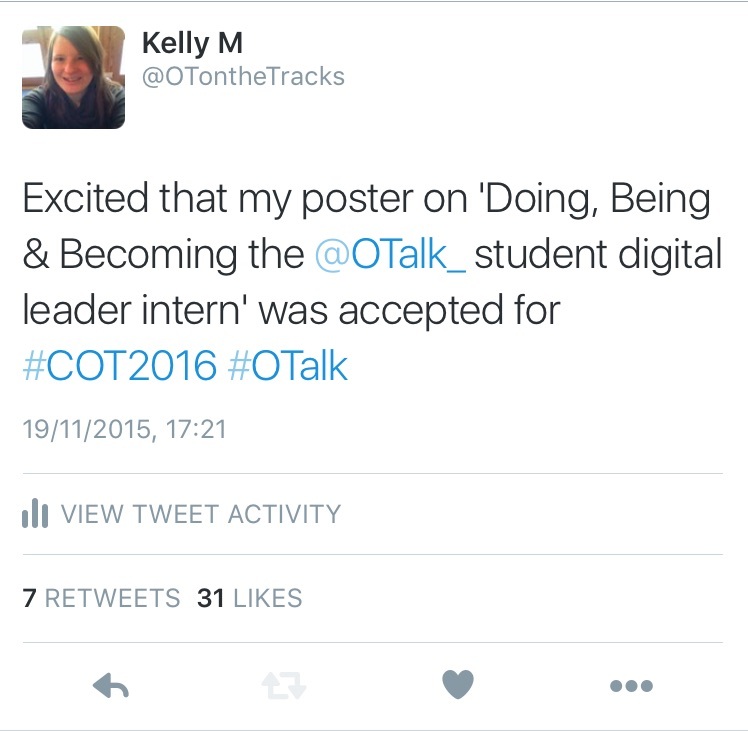 This week also saw me receive an email to confirm my poster abstract was accepted for #COT2016 which was a surprise if I'm honest, but does give me a positive way to share the experience of being the #OTalk student digital leader intern. Now to get my creative head on to work out how to create the poster! As always on placement these are quite short updates... I will do a larger reflective piece at the end. Parkinson, S (2014). Recovery Through Activity.